This is the entry-level modern integrated you have been waiting for. With connectivity accented on digital audio (up to 24-bit/352.8kHz and DSD256), as well as a plethora of analog line-level inputs, plus a phono input, the 240i can easily become the one-box center piece (amplifier and nerve center) of your music and entertainment system. Full external control (Control4 driver available), OLED front panel display, amazing user-configurability to customize its features for your specific installation, and a gutsy 50W per channel (MOON watts, which is to say the power rating is subjectively conservative) allow the 240i to drive even inefficient and complex low impedance speaker loads without difficulty. 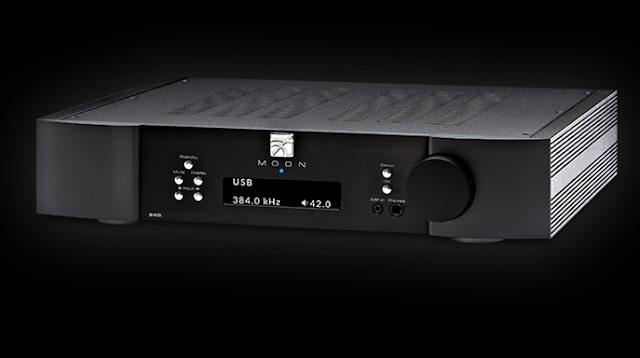 As you would expect, the sound quality is all MOON: organic and detailed, with exceptionally well-controlled and tuneful bass, coupled with a wide and airy soundstage. In a nutshell, music comes alive. Rounding out the package, the MOON 240i is of course manufactured in our own factory in Montreal, Québec, and naturally comes with our renown 10-year warranty. Five (5) digital inputs include USB (hi-res audio), SPDIF (2), Optical (2).